This GLOMACS Professional Business Analysis - Level 1 training programme has been designed to address those areas that have been identified as either not existing yet or only partially in place. It provides the qualifying study hours and content for delegates to prepare for and sit the IIBA® Entry Certificate in Business Analysis certification exam. In addition, the material covers the areas identified as needing development based on the internal benchmarking against the IIBA® BABOK® Maturity Model. Following completion of the course, delegates will have established a foundation to continue their personal development as business analysts and contribute to building a community of practice based on shared methods and standards. Participants will learn by active application of methods, tools and techniques from the BABOK® throughout the programme. The sessions contain focused input from the programme leader, combined with practical sessions enabling delegates to apply the methods and tools to exercises and case studies drawn from a range of industries, to broaden understanding. The course manual will be supplemented with templates and a suggested toolkit outline as a foundation for developing a standard approach across the department and organisation. The intention is both directly develop the knowledge and skills of analysts and also increase the effectiveness of analysis interventions by helping those they interact with to communicate more effectively as subject matter experts. 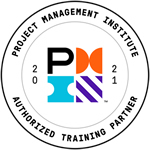 REP logo, PMI & PMP are registered trademarks of Project Management Institute, Inc.
GLOMACS is proud to be an approved Registered Education Provider (R.E.P.) with PMI®. As an R.E.P. GLOMACS is qualified to issue applicable Professional Development Units (PDUs) to participants of any of its PMI® registered/approved seminars where one (1) PDU is equivalent to one (1) contact hour of training. GLOMACS is an Endorsed Education Provider (EEP # E200) with IIBA. GLOMACS Business Analysis related seminars have been evaluated and further determined meeting the requirements set by IIBA. Applicable Professional Development hours (PD Hours) for certification application or Continuing Development Units (CDUs) for recertification will be granted to a participant of any IIBA endorsed seminars.